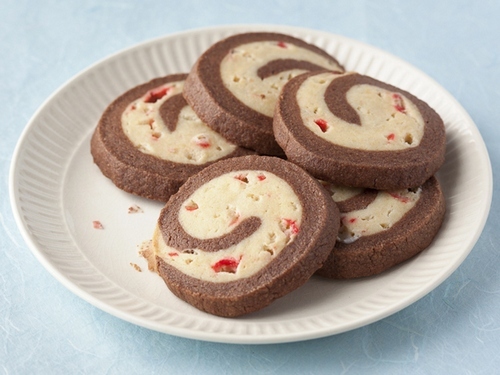 I was online at FoodNetwork.com and came across this insane picture of Chocolate Peppermint Pinwheel Cookies. Originally I went online to figure out what I should make for dinner — but then these puppies smacked me right in the head and I just had to share!! Always up for a good holiday cookie recipe. they look fabulous, definitely a special treat for the holiday season.